Overview of Stages - Puckett & Redford P.L.L.C. At Puckett & Redford, we offer a full line of services for residential and commercial landlords and property management companies. We represent landlords in evictions, discrimination actions, and provide defense for landlords who have been sued by present or former tenants. 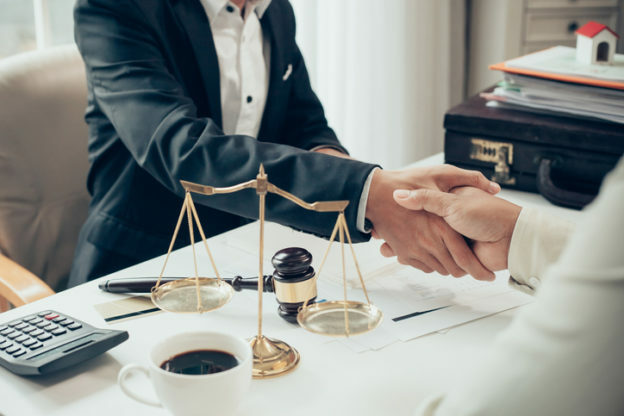 Landlord representation makes up 100% of our practice, so we are able to provide our clients with the specialized knowledge that comes from practicing exclusively in this area of law. In processing residential and commercial evictions, our office follows a very detailed procedure for ensuring that the evictions are closely monitored to ensure the most favorable outcome for our clients. For the most part, our billing does not follow the typical hourly rate, but is a flat-fee billing, depending on the required steps for a successful eviction. We have attorneys and paralegals with many years of experience in handling residential and commercial evictions in a timely and cost efficient manner. We utilize the latest in modern technology to minimize costs and allow us to accurately track the many evictions that we are handling at any time. We handle most evictions in stages and only charge for the amount of work that may be necessary to resolve the problem. At any time in the process, our clients can call the office with general or specific questions, or for the status of the eviction process. We do not bill clients for phone calls or general questions. Puckett & Redford, P.L.L.C. is a law firm focusing on the representation of commercial and residential landlords that own and manage properties in Western Washington. Our office is a boutique law firm made up of attorneys and paralegals who have over 75 years of combined experience representing landlords and property management companies. Disclaimer: Information on this website is not meant as legal advice and should not be taken as such. Except as expressly provided to the contrary in a writing by Puckett & Redford, PLLC, use of the information on site does not make you a client of Puckett & Redford, PLLC, and the pages and information and materials contained therein are provided on an "as is" basis without warranties of any kind, either express or implied. Puckett & Redford, PLLC does not represent or warrant that materials in the sites or the services are accurate, complete, reliable, current or error-free, and is not responsible for typographical errors or omissions relating to information provided herein. Puckett & Redford, PLLC does not represent or warrant that the sites or its servers are free of viruses or other harmful components, therefore, you should use industry-recognized software to detect and disinfect viruses from any download. © 2019 Puckett & Redford P.L.L.C. All Rights Reserved.